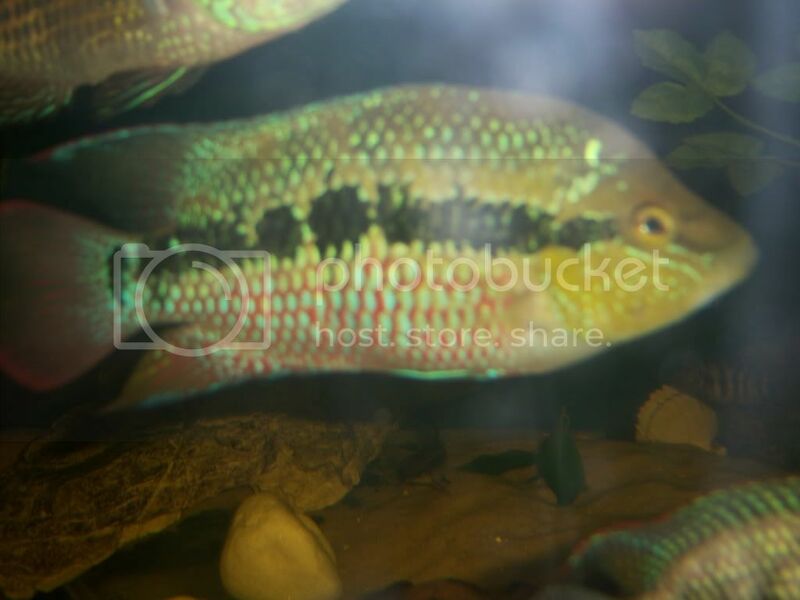 African Cichlid Forum • View topic - Testing the water-Salvinis? Hi everyone. Just testing the water (and jumping the gun! )- I have clutch of Salvinis that I am raising half myself and letting the parents raise the rest- the parents are currently winning! 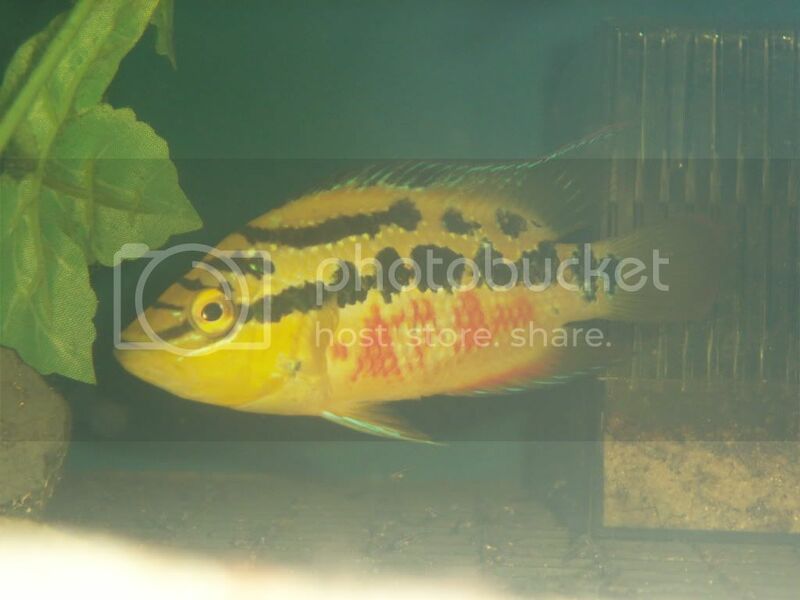 The female is stunning bright yellow and around 4.5 " and is f1. The male is 7.5" and wild caught and showing a lot of blue/green on the body and red in the fins. Both are gorgeous, quality fish and hoping that the fry will be to. Here are some (pretty terrible) pics - at least you get the idea! They have managed to breed in a S.A. community tank with 2 other adult male Salvinis and loads of other fish. I was worried about aggression but they have been fine, chasing fish away that come too close but not attacking or relentlessly chasing any which surprised me. Pair- the male wouldn't keep still! 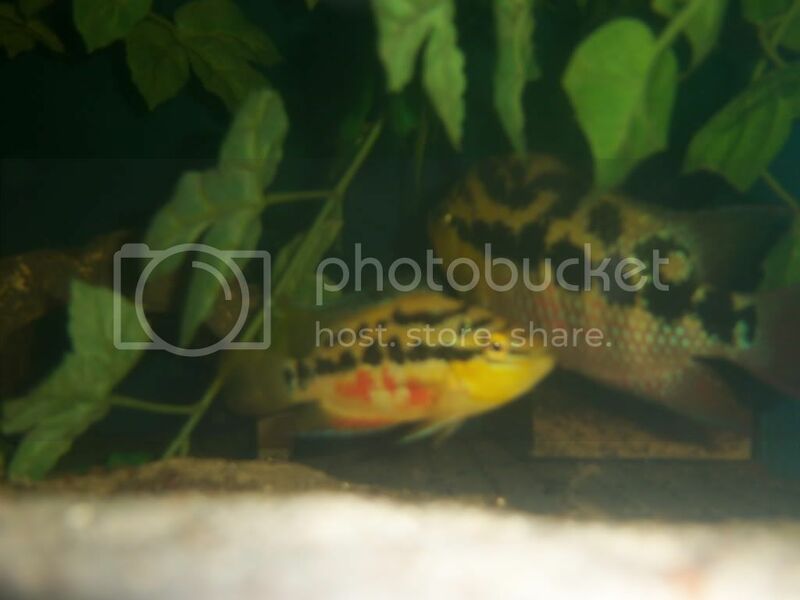 Stunning pair of fish, really takes me back as we kept these about 15+ years ago, when they're big enough to sell then put the ad up here by all means and also try the ac.